Impress your family with this delicious, tender and crispy stuffed chicken breast – it’s one of our most popular recipes. 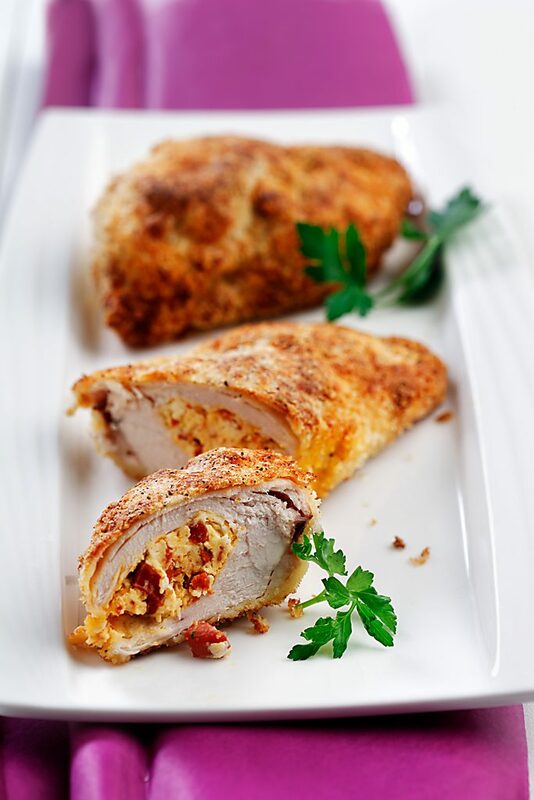 Chicken breasts are stuffed with chorizo sausage, breaded and baked. 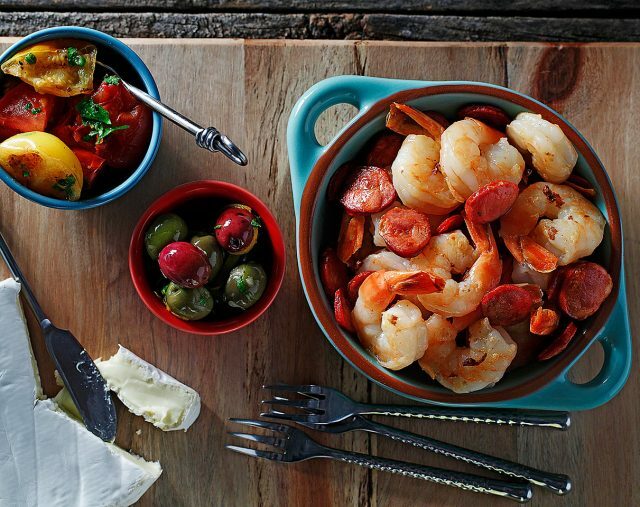 Try it for your next dinner party! Heat canola oil in a small frying pan. Add diced chorizo sausage and cook briefly over medium low heat, until sausage is lightly browned. Spoon into bowl and allow to cool. Add cream cheese and mix to combine the cheese and sausage. Meanwhile, using a sharp knife, make 1 ½ inch incisions into the sides of the chicken breasts. Carefully form a pocket in each breast. Divide cheese into 4 equal portions and stuff each breast. Use toothpicks to close incision, if desired. Dip each breast into egg, then flour, then egg again and finally into panko crumbs. Place on cookie rack to dry, about 10 – 15 minutes. Heat 3 Tbsp (45 mL) canola oil into large non – stick frying pan and place over medium heat. Cook chicken breasts for approximately 2 minutes on each side, starting with the side that has the largest visible stuffing mixture. Add additional canola oil if necessary. Place chicken breasts on foil lined baking sheet. Finish cooking for 20 minutes or until cooked through and juices run clear.